Although the majority of research on adolescents’ online behavior has focused on antisocial behavior such as cyberbullying, adolescents more often behave prosocially than antisocially online. Research on offline prosocial behavior has shown that happiness and prosocial behavior are related. Furthermore, spillover-crossover research suggests that emotional states originating in one context can spill over to another context and can even cross over from one person to another. Therefore, this study examined whether happiness is also related to adolescents’ online prosocial behavior and whether others’ (in this case, parents’) happiness also indirectly, via transmission to adolescents’ own happiness, predicts adolescents’ online prosocial behavior. Via a daily diary method, the associations of adolescents’ own happiness and their parents’ happiness with adolescents’ online prosocial behavior were tested on a daily level. 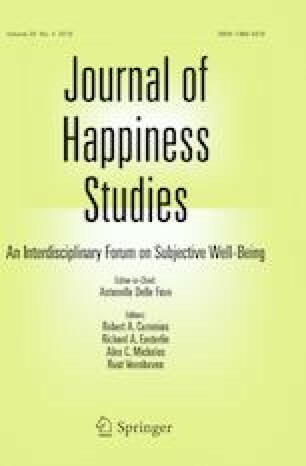 The findings suggest that, on a daily level, happiness creates a ripple effect whereby adolescents and parents take their positive emotional states from school and work home, and adolescents act on their happiness by behaving more prosocially online. The strongest spillover and crossover effects were found for girls and their mothers, evoking questions for future research to understand these gender differences. This research was supported by the Research Foundation Flanders under grant FWO G.0335.14 N.
The study was approved by the Ethics Committee for the Social Sciences and Humanities of the KU Leuven. This research involved human participants, who gave informed consent to participate. Lister, K. M. (2007). Aggression and prosocial behavior in adolescents’ internet and face-to-face interactions (Electronic Thesis or Dissertation). Retrieved from https://etd.ohiolink.edu/. Accessed 12 October 2015.